As one of Nova Scotia’s premier tourist destinations, Annapolis County has plenty to offer travellers from outside the province. Peak visiting season for the area is summer and fall, leaving residents to deal with the often harsh winters. 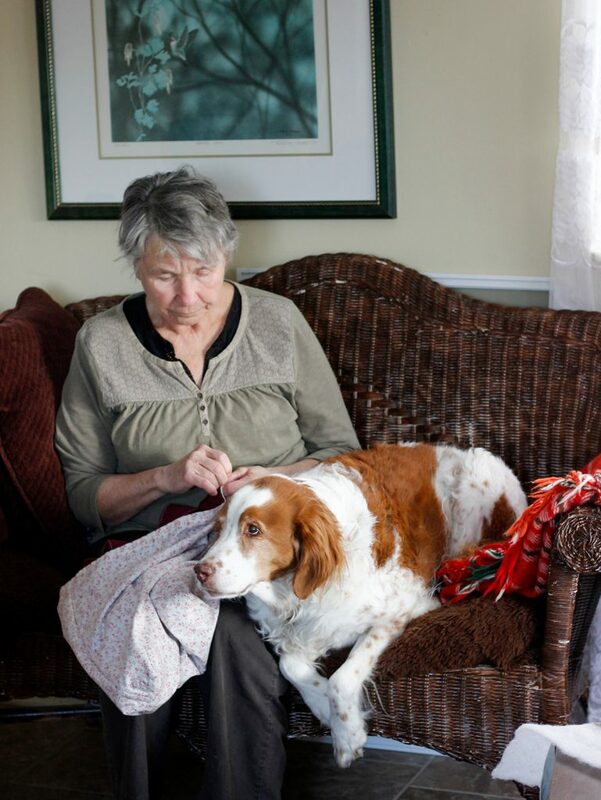 Residents like Janet Swansburg, who, despite being retired, still has regular work during the cold months like shoveling her driveway, tending her gardens, and walking her dog Barclay at least twice a day. But for Janet, she wouldn’t have it any other way. 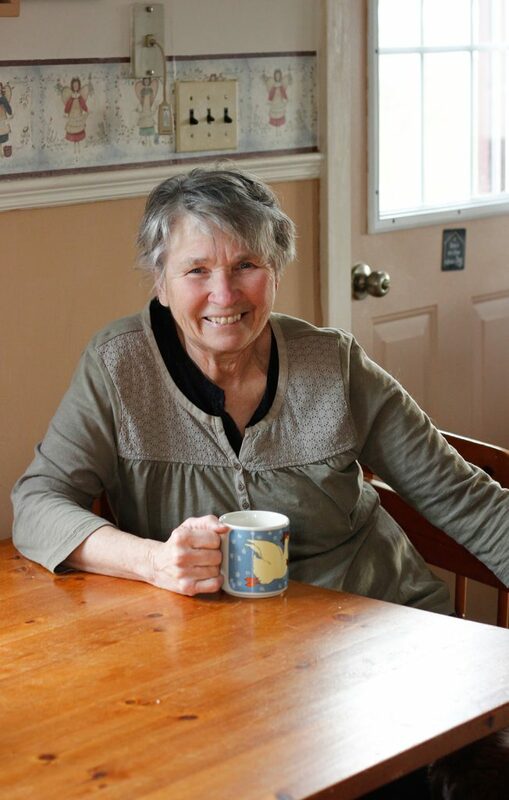 She’s lived in her small home, located in Moschelle, Annapolis County, for over 50 years. She raised three daughters there, built flower and vegetable gardens surrounding her home, and is involved in her community and local church. She’s built her life around her home, and it’s not an option to leave it. Janet has done a lot of upkeep to the house over the years. Built in the 1800s, the basement has a dirt floor and rock wall, typical of many houses in the area. She explains that the house was always damp. With the basement not insulated, the home was also losing a lot of heat. Janet knew this was the next thing that needed to be done for her to stay. Janet had heard of the HomeWarming program through her volunteer work running free tax clinics as part of the Community Volunteer Income Tax Program (CVITP), which helps people with lower incomes complete their tax returns. Living on a single retiree’s pension, she knew she qualified for the program. HomeWarming helps income-qualified homeowners throughout Nova Scotia make their home more comfortable through no-cost energy efficient upgrades. It’s funded by Nova Scotia Power and the Province and administered in partnership by Efficiency Nova Scotia and Clean Foundation. Janet applied for HomeWarming during the 2017 tax season and the work was completed by July 2017. Her rock wall basement was insulated with spray foam, she received an energy efficient dehumidifier to help with the moisture, as well as a Nest thermostat and carbon monoxide detector. The difference for Janet was felt immediately that following winter. With the added comfort to her home, Janet can focus more on the things she loves about living there. She started expanding her gardens and is doing some growing indoors during the off season. She’s joined a local committee at her church called “Church in Action,” and is lobbying local stores to switch from using single use plastic bags to more sustainable options. She’s even making cloth bags of her own to give to others in the community. Through her work with the CVITP tax clinics, Janet is hopeful to share with others in similar financial situations the difference programs like HomeWarming can make. With newfound comfort in her home, Janet is looking forward to continuing to live and pay it forward in Moschelle. For more information about the Community Volunteer Income Tax Program, click here. If you’re looking to improve your home’s efficiency and reduce heating and power bills, you can speak confidentially with a Service Advisor about your eligibility for HomeWarming. 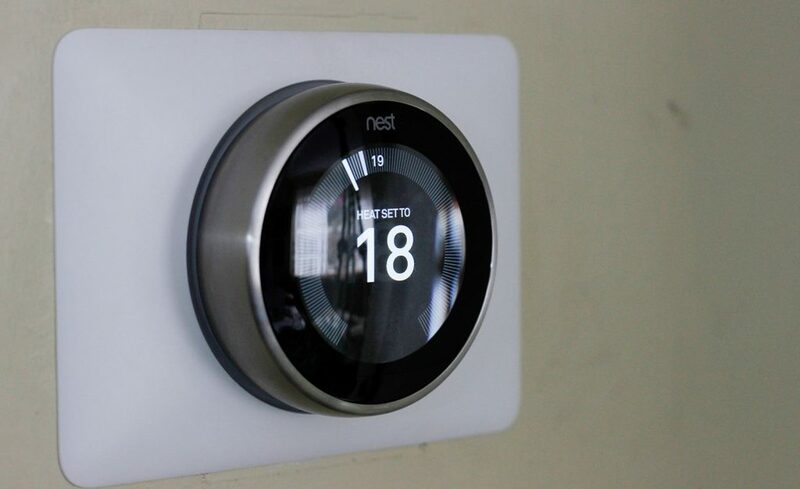 For help getting started, call 1 877 434 2136 (toll free), or email homewarming@efficiencyns.ca. HomeWarming is a program that provides energy-saving home upgrades to income-qualified homeowners at no cost. Clean Foundation delivers the electric heat portion of the program through a generous contribution from Nova Scotia Power. Efficiency Nova Scotia delivers the program to non-electrically heated homes with funding from the Province of Nova Scotia.